If your cake is a healthy, guilt-free on top made in microwave mug. Healthy mug cake recipes that you can whip up in minutes – AND still stay on track with your diet and lifestyle. I love carrot cake so tried to use the same combo in my mug cake with my favourite pistachio. A few tablespoons of ingredients whisked up in a mug and baked in the microwave for less time than it takes to make popcorn. makes the perfect amount for one person. No overindulging and no wasting!!! Grease the coffee mug and set aside. Combine wheat flour, baking powder, ground cinnamon, nutmeg, salt mix well. In other bowl whish together wet ingredients. 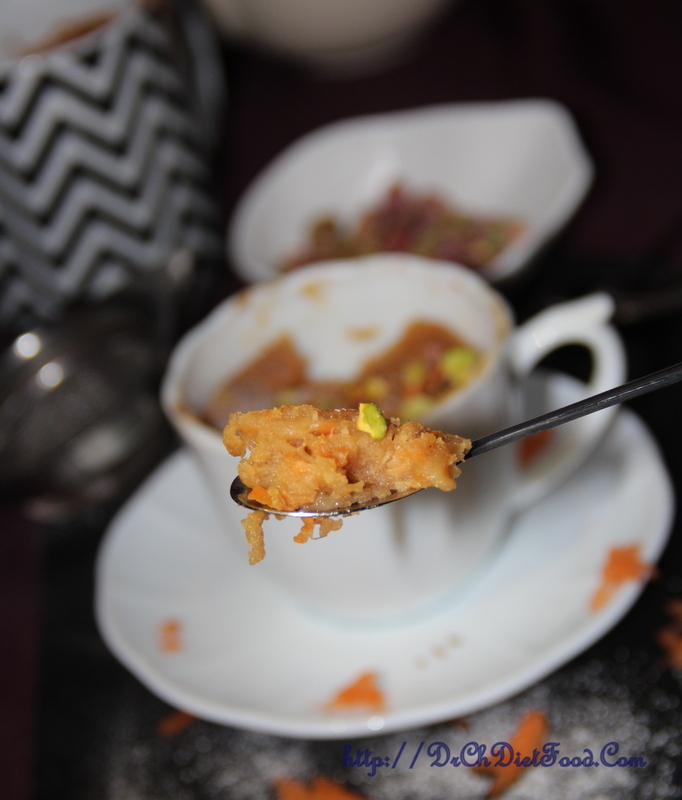 Add chopped pistachio, grated carrot mix well and pour the mixture into the greased mug. Microwave for 2- 2 1/2 minutes or until the toothpick inserted comes out clear. Let it cool a bit and then Enjoy. Cooking time may vary depending on the watts of the microwave so keep an eye for every 30seconds after a minute. Honey can be substituted with brown sugar/stevia or any sweetener of choice. Pistachio can be replaced with walnuts/almonds or any nuts of choice. Posted on March 27, 2015, in Dessert, International. Bookmark the permalink. 21 Comments. Wow, awesome recipe Chitra!!! I usually make the one min mug cake with APF, never tried wheat flour, also addition of carrot superb!!! 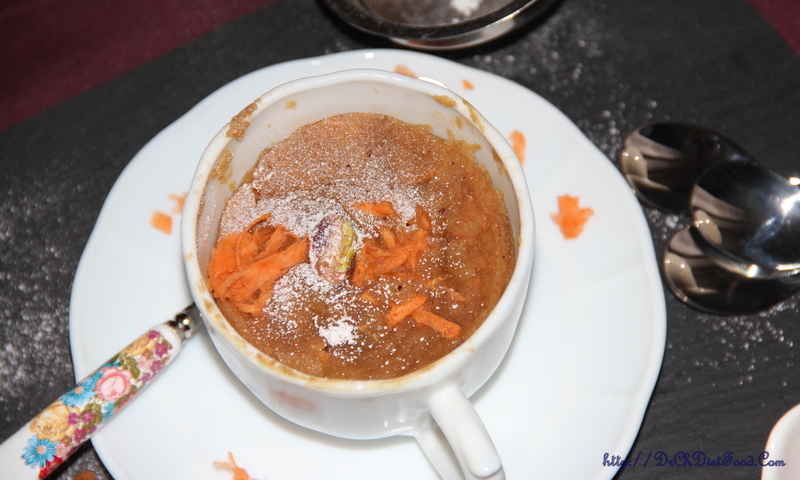 Love making mug cakes never tried carrot, great idea and it looks really delicious!! Chitra I love mug cakes and this one is great with using yogurt!!! YUM!! thanks Amy nice to hear that.